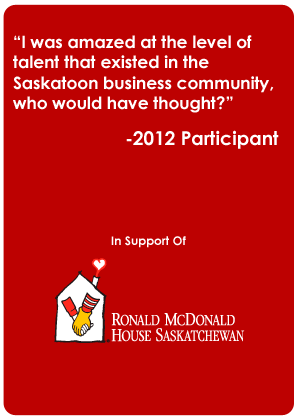 Danielle Stasiuk is back to capture another year of the Saskatoon Corporate Challenge! Home → News → Danielle Stasiuk is back to capture another year of the Saskatoon Corporate Challenge! You’ve been looking at her amazing photos from the 2012 and 2013 Saskatoon Corporate Challenges, well she is back!! So excited to announce that Danielle Stasiuk is back for another exciting year capturing all the fun of the Challenge. Danielle’s passion is photography and her talent is unbelievable. She is a very kind individual who finds ways to connect with the community. She loves the enthusiasm of the Challenge, the professionals that are involved, and capturing all the highlights of the week. The Saskatoon Corporate Challenge is just one of the many events throughout the year that Danielle donates her talents to. Check her out at Daniellestasiukphotography.com and don’t forget to say “CHEESE” when you see her at the events in September! Thank you thank you thank you Danielle!!! !